Dallas, Texas & Atlanta, Georgia August 29, 2013. Law firms of all sizes benefit from Medical Legal Spider's economies of scale, standardized practices and sophisticated technology support, while better managing more large complex bodily injury cases. This combination of applied technology and skilled staff allows MLS to excel with clinical data, free text narratives and handwritten medical records. 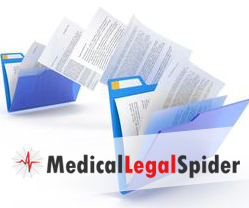 Medical Legal Spider, a CAP Digisoft Solutions, Inc. company & global Business Process Outsourcing and Software Developer announces the release of its' completely redesigned, secure File Transfer System. This new FTS allows clients to transfer their raw medical records and receive completed files easily and securely. "The need to update our private File Transfer System became a necessity to enrich the user experience for our clients" according to Arun Kumar, CEO. "Now, in addition to uploading raw medical records and downloading completed organized files, Medical Indexes and Summaries, clients will be able to track their work in progress, set criteria for system generated messages and have access to historical reports on their case files", Mr. Kumar went on to say. All records are sent via secure, Industry Standard File Transfer System protocol and managed by experienced, trained reviewers who utilize MLS' proprietary semi-automated sorting software. Law firms of all sizes benefit from Medical Legal Spider's economies of scale, standardized practices and sophisticated technology support, while better managing more large complex bodily injury cases. This combination of applied technology and skilled staff allows MLS to excel with clinical data, free text narratives and handwritten medical records. As a result, missing medical records are identified much faster, out of pocket costs are lowered and 100% of medical record processing expenses are allocated to open case files. Medical Legal Spider builds on CAP Digisoft Solutions' years as an experienced specialty provider of medical record sorting, organizing, indexing, identifying missing medical records, factual summarizing and other medical data extraction services. In fact, the company has processed over 40,000 medical-legal cases plus tens of thousands of mass tort cases, since 2007. Case types include: automobile & truck accidents; workers' compensation; disability; medical negligence, malpractice and large volumes of medical records from mass tort litigation, product liability and class actions. MLS offers a free, no-risk test case to all new law firms to try any of these services. There is no better way for attorneys to experience how they can improve efficiency while lowering costs. 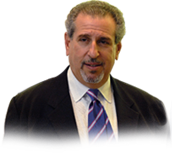 For more information or to submit a file for a free trial of any of Medical Legal Spider's services, please contact Rick Litzky, VP of Business Development at 1-855-6SPIDER or by email free@medicallegalspider.com.